Fifty million metric tonnes of e-waste is generated every year, equalling the weight of nearly 4,500 Eiffel towers. Much of it is incinerated or placed in landfill, causing pollution, human health hazards and the loss of valuable finite resources. According to the United Nations University’s Global e-waste monitor, around 50 million metric tonnes of electronic products are discarded every year. E-waste is the world’s fastest growing waste stream and the amount is estimated to increase to 52.2 million metric tonnes by 2021 unless this trend is reversed. There are several reasons for the increase. The world’s population is growing and economic prosperity reaches more people. Technological development is fast-paced and the price of IT products is dropping, leading to shorter product lifespans. Developed countries continue to contribute most to the problem, but developing countries are rapidly catching up. Most countries have difficulty handling these vast amounts of discarded products in a responsible and resource efficient way. In 2016, only 20 percent of electronic waste was recycled globally. While the focus has been on collecting products, not enough effort has gone into building infrastructure for processing the waste or safely recovering used materials. This has led to a shortage of facilities where e-waste can be managed safely. Instead, e-waste is mixed with residual waste, where it is often incinerated, placed in landfill, or exported to developing countries. E-waste exporters generally choose destinations lacking effective legislation that regulates how e-waste should be handled. The export of e-waste is driven by two main factors: the demand for low priced electronics in the importing countries, and the fact that it is cheaper to export e-waste than to handle it domestically in accordance with stricter safety regulations. Western Africa and parts of Asia are common dumping grounds. In these countries, local populations make a living by extracting and selling valuable materials. 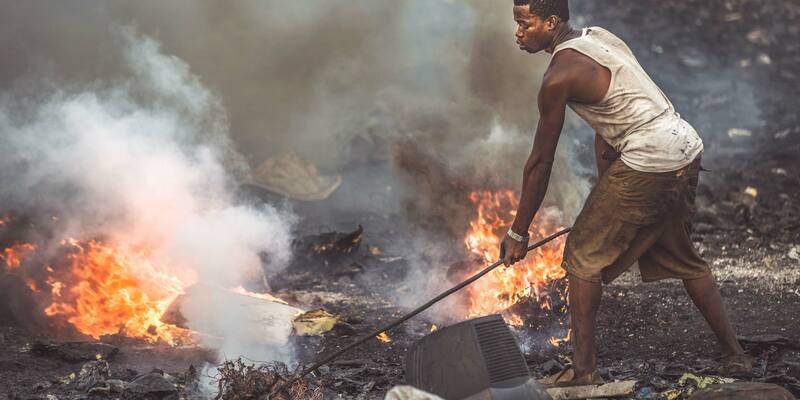 Products are manually disassembled, burned in the open air or dissolved in acid by local laborers including children, without adequate protective equipment — leading to severe health problems. Electronic products contain a number of toxic substances hazardous to human health, with documented risk to the brain nervous system, lungs and kidneys as well as links to certain cancers. Toxic residues can leak and contaminate the soil, air and water, affecting surrounding ecosystems where the local communities grow their food, hunt and fish. The hazardous substances are also spread to other continents through the air and the sea. Apart from being a risk to human health and the environment, the current way of handling e-waste has a negative economic impact. Electronic products contain a number of scarce, valuable resources, that are also essential for meeting our future product needs. In 2016, it was estimated that electronic waste contained gold, silver, copper, platinum, palladium and other recoverable materials to a value of 55 billion Euros. In the circular economy, products are designed for reuse over a longer period and waste is avoided. When a product has reached the end of its usable life, materials turns to valuable resources, used to manufacture new products. The goal is that no waste is produced. Instead, materials are kept in use and are reshaped over time. For the IT industry, this means designing products that are durable, upgradeable, repairable and reusable. It should be possible to take them apart and vital components must be replaceable. Instructions for how to repair the product should be made available. 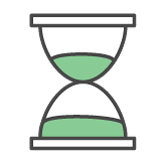 It must be possible to delete data securely, so the product can be reused by a second owner without risk of data leakage. Also, the use of hazardous substances must be reduced or eliminated. 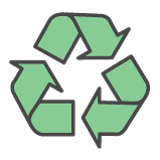 Otherwise it may be difficult or impossible to recycle the materials when the product has reached the end of its usable life. Use your products for as long as possible. This is the single most effective thing you can do to minimize e-waste and the negative effects on our planet. Choose products that are designed to enable a more circular model and can live multiple lives by being repaired, upgraded and refurbished. Consider if someone else might find the product useful when you no longer use it. Sell it ​​or donate to charity. Make sure the product is recycled in a safe and responsible way at the end of its usable life. Criteria in TCO Certified have a circular approach, driving the development of products that are durable, repairable and upgradeable as well as recyclable. 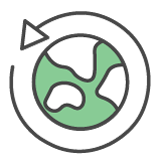 Criteria cover all phases of the product life cycle: material sourcing and manufacturing; use and re-use; recovery and recycling. To avoid e-waste, products must be repairable and upgradeable so that they remain functional for a long time. Certified products must have at least one year’s warranty and spare parts must be available for at least three years after the product model is no longer manufactured. 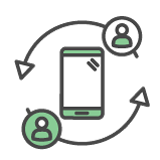 The brand owner must provide software which deletes data from the device securely and free of charge, so that the product can be recirculated without risk of data leakage. The brand owner is responsible for offering take-back options for discarded products. Mobile products must be durable and endure high and low temperatures. IT products are often replaced because the battery has lost its ability to hold a charge. TCO Certified includes criteria for battery life and replaceability. Computers and mobile products must include a USB Type-C port. By using a standardized connector, fewer cables need to be manufactured and re-use of cables can increase. By reducing the number of hazardous substances, materials can be safely recycled and reused for a long time to come, and maintain compliance with increasingly stricter legislation. TCO Certified is the world’s most comprehensive sustainability certification for IT products, helping you make responsible product choices that drive the industry in a sustainable direction. Using TCO Certified also supports your organization in taking the next step in social and environmental responsibility. 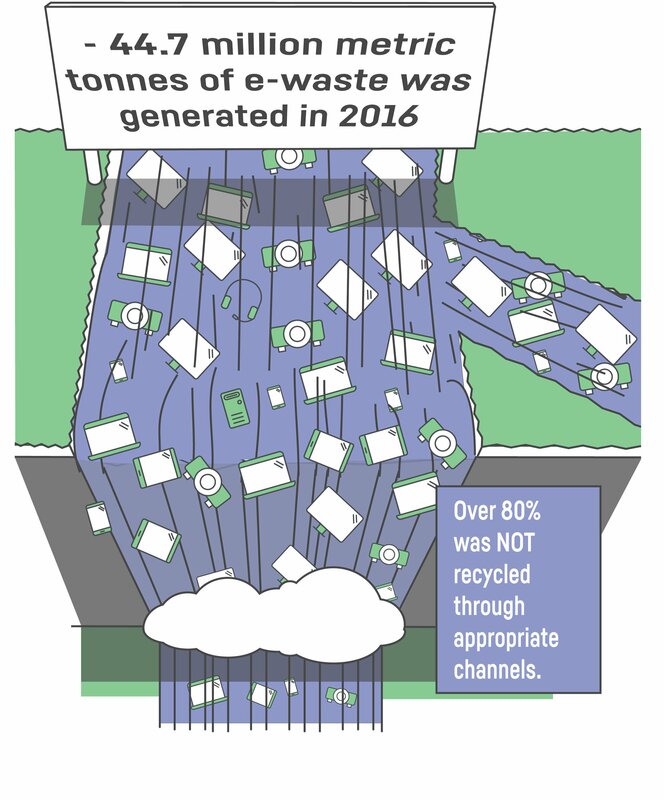 The Global E-waste Monitor 2017. The United Nations University, the International Telecommunication Union, and the International Solid Waste Association, 2017. Andreas Rehn, Certification Manger, TCO Development.